A developmental paediatrician once told me most of his patients were three-year-olds. And most of the time, his treatment involved reassuring parents that their child was, in fact, developmentally normal and would probably grow out of it around six, which is the type of “good” news I imagine most didn’t appreciate immediately. P’s nearly six, and we’re beginning to understand that it’s true. 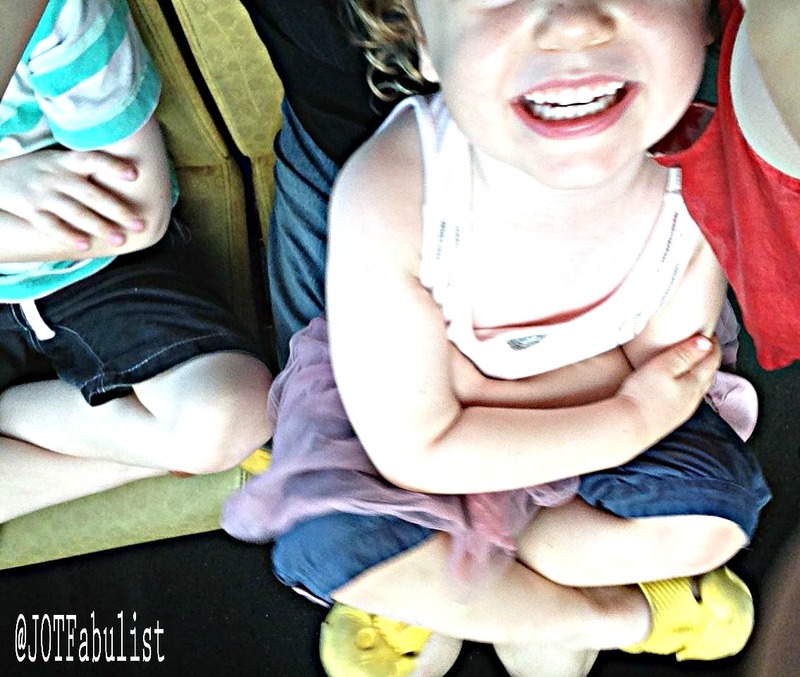 T, on the other hand, is putting the final touches on her transition from pliable baby whose desires – though intense and never-ending – were basic and few, to stroppy threenager who daily struggles with not being the centre of the universe after all. 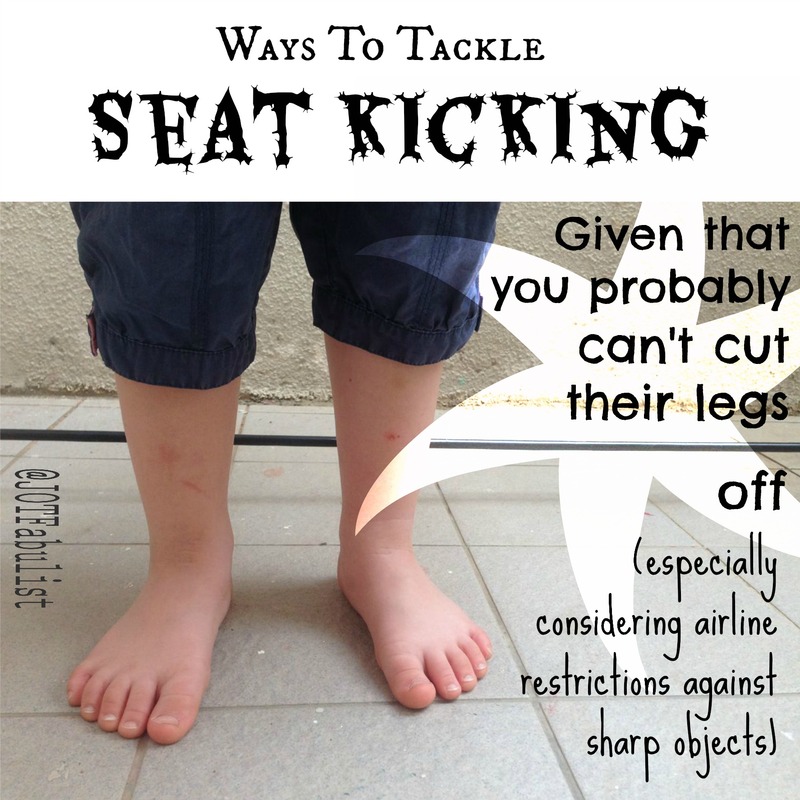 With that in mind, it seemed a good time to brush up on what we learned about seat-kicking in young travellers before we take our next trip. If you’re a non-parent traveller, have a flick through (and read the comments) to see what you can do about it as well. Why is that child kicking the seat? The best treatments target the cause, rather than the symptoms. From what we can gather, our kids kick seats for one of three reasons: fidgets, moodiness, and because the seat isn’t child-sized. 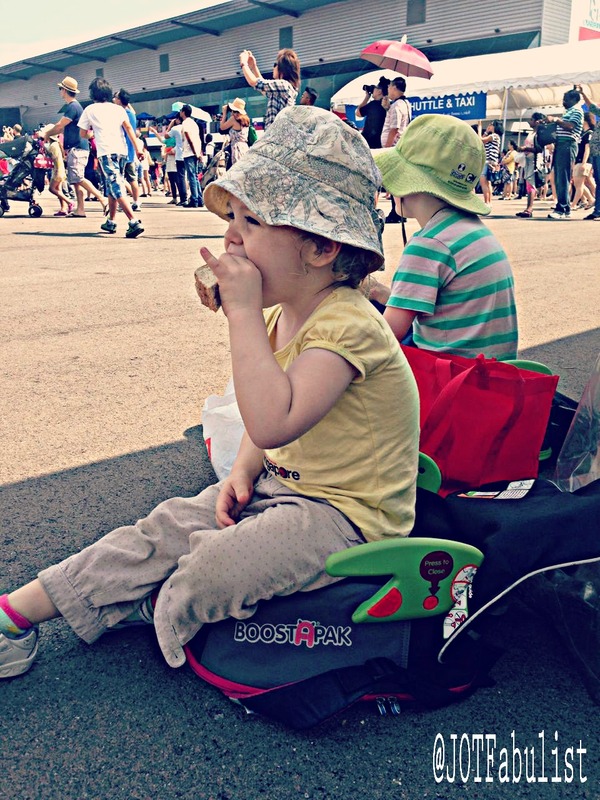 Of these, we’ve found the most frequent reason is the third: the seat isn’t child-sized. This causes their little legs to dangle uncomfortably, and encourages them to brace against the seat in front if they want to change position. It’s not exactly a kick, but it’s still pretty annoying when it happens over and over and over and over and oh! good! grief! When P sits cross-legged on his seat, he can adjust his position without bracing against the seat in front. It also keeps his legs from dangling and swinging. This is the single most effective tactic we’ve used. We’ve found this method to be less effective, but it still has its uses – such as during in-flight meals. We use our carry-on luggage to create a child-sized footrest (something with a hard case is best). 3. Use a car seat. Sometimes a car seat is more comfortable, or will at least put them at the right height for the in-flight entertainment, making adjustments less necessary. Note: In the comments, Thrifty Travel Mama tells us her kids tend to kick more when she uses a car seat. It’s probably only worked for us because it’s solved the specific problem that’s causing the kicking – I can imagine it might (for example) make a case of the fidgets worse. A car seat can make life more comfortable. The second-most frequent problem we encounter is what I call The Fidgets. A and I both get horrible crawling sensations in our legs if we sit still for too long, which produces a powerful kicking instinct, much like an itch prompts a scratch. We figure our kids are pretty much doomed to the same fate. In fact, I’m sure everyone gets this and no-one is already drafting a comment about how we should get that seen to. This takes the kinks out of the system in advance. 2. In-flight family exercise sessions. We’ve had the best success with the toe-drawing game. This is where we ask them to draw… with their toes. They trace shapes, pictures, numbers or the alphabet in the air. There are also instructions for recommended exercises in seat back pockets. A few short walks up and down can help keep the fidgets at bay. 4. Leg rubs and massages. Massaging each other’s calf muscles can reduce the sensations, as can rubbing the fidgety area with the palms of the hands. I often, for example, sit knee-to-chin and knock my knees together, or pull up and down on my toes. 6. (Update): Standing on the seat. A completely different Jen to the one mentioned below comments that she sometimes lets her daughter stand on the seat to get rid of the fidgets without resorting to kicks. During periods of low turbulence and at your own risk, of course. 7. Cross-legged or knee-to-chin sitting. These positions provide natural stretch and control. All tucked up out of trouble. 1. Try (obviously) to prevent boredom though various entertainment options and alleviate moodiness by keeping kids within range of their comfort zones. 2. For when all else fails (as it sometimes does), remember Plan B: symptomatic control. 1. Choose seating wisely, if possible. Front row/bulkhead seats are great for seat-kickers, as there’s nobody in strike-range. Trains often have facing seats, and buses have a spot up the back with nothing in front. Alternatively, when travelling with two or more adults, there’s the option to sit in two separate rows, with the seat kicker behind someone they’re related to. If this can’t be arranged ahead of time, other passengers might agree to swap, especially the ones who are in danger of being kicked. 2. Use rear-facing car seats. In some parts of the world (primarily, it seems, the USA and Europe), you can get rear-facing toddler seats which are approved for passenger aircraft – so the worst your child can do is kick the back of their own seat. If you live in or travel through those regions, it’s something to look into. Hat tip to Jen for this one. 3. (Update): Choose a sleeping flight. Christy suggests considering a flight during normal sleep times – at nap time or overnight. It’s rare for kids to kick seats when they’re unconscious. Of course, you’ll want to weigh up the pros and cons based on how well they’re likely to sleep and what’s going to happen if they don’t. 4. (Update): Apply reverse psychology. Yes, that old trick works on seat-kicking as well, according to Emily-Jane. Ask them to really give it a good whack next time and see how quickly they stubbornly refuse to so much as touch it from that moment on. 5. (Update): Take their shoes off. It’s less enjoyable to kick when your feet are un-armoured – and less irritating for others, too. Corinne McDermott found this solution worked wonders with her young son. Seat kicking would be off the menu if we always flew in a hercules. I always learn three or more new things in the comments of these posts, so please share any seat-kicking magic tricks and success stories (or recommendations for health professionals who specialise in fidgetiness/airline-security-friendly leg dissection techniques/etc). The post Ways To Tackle Seat-Kicking appeared first at Journeys of the Fabulist and was featured as part of the How Do You Do It? Parenting link-up #24. As always, great advice. I like how you addressed the size of the seat and how uncomfortable it is for a child. I am going to try suggesting he cross his legs. Any suggestions on how to make them more comfortable when sleeping i.e. positions? Roo always looks so uncomfortable. I get a neck ache from just looking at him. OMG – Just realised I hadn’t replied to this! Sleeping positions. I have a really light sleeper so if he’s asleep I figure he’s comfortable and just thank my lucky stars. The better sleeper is small so I can usually make her look comfortable – you do raise an excellent point for the future there, though. I do know I’ve tried a number of neck pillows without much success. Usually a rolled-up blanket/towel/etc work much better for me as I can turn it into whatever shape it needs to be to keep that neck looking right. It does tend to be the neck, doesn’t it? I am a frequent flyer and often get the “feet in the back of the seat” from adults sitting behind me. I would be most forgiving of a child’s occasional push, but adults? Really? And it does not necessarily come from the overweight or tall. I have had to call a stewardess more than once to get the person behind me to understand why that is not only rude, but unfair. Yes, I can’t help you much with adults… definitely a good one for the flight attendants to sort out. There’s always a few people out there, isn’t there? Well, here’s my perspective: if a stranger turned around to us with a friendly face and asked my kid why they were kicking the back of the seat I think it’d go well. I wouldn’t be offended and either the kid would be scared straight without further interaction, or you’d get the chance to follow up with some suggestions (with or without putting a few words into their mouths, depending on how much they respond). So I definitely think it’s ok to try. Seat kicking is very annoying, and better to solve problems in a friendly way on the spot than bubble and fume and later rant to friends, family, and people on the internet. I am dying to hear your posts on Cuba – they’ve been calling me, but I’ve been resisting because I’m behind on my latest deadline. Give me two/three more days. Pingback: How do you do it? 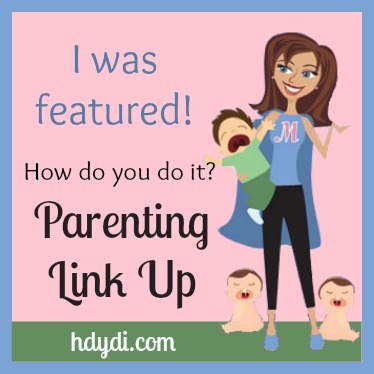 Parenting Link Up #24 - How Do You Do It? Pingback: How do you do it? 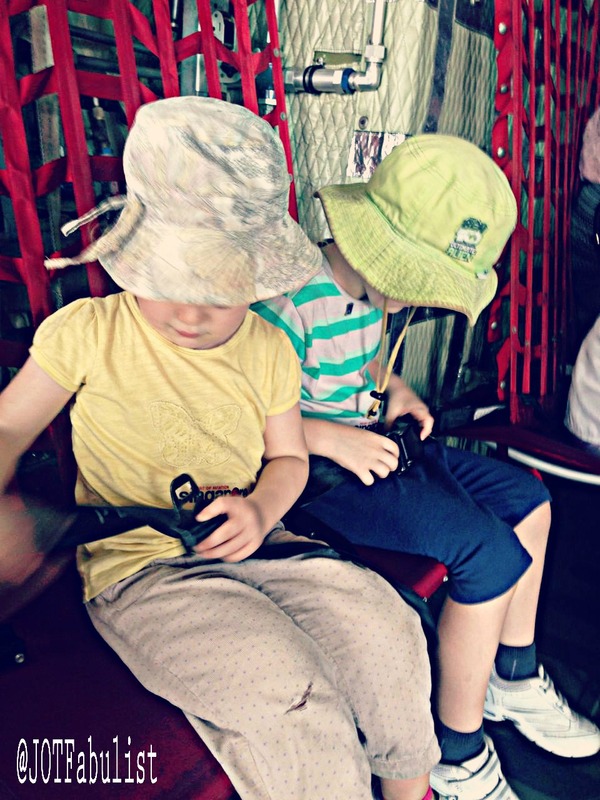 Parenting Link Up #24 | What's up Fagans? These are great tips! I haven’t flown with my kids yet, but having them kick the seat in the car is annoying enough! Thanks for linking up to How do you do it? I think it was the bit where you said I complained about you having your moments until, oh, thirty? thirty-five? I was worried because not everyone understands our family’s weird sense of humour. To everyone out there – I love this girl to bits! Well, you’re commenting on my blog, so that probably says a lot from the start. I’m not sure how many parent-blogs welcome/approve comments from their mothers but not all of them. I wouldn’t sweat it. Nothing new to add – this is a pretty thorough list! I found that my kids kicked the seat the most when they were in car seats. And other than a bucket-style car seat for a baby, I can’t recall ever being allowed to use a toddler car seat rear-facing on an airplane. (And the budget airlines in Europe don’t even LET you bring a car seat on board..). But I saw a Boost A Pak in your picture – I just discovered those a few weeks ago when looking for solutions to the Ryanair car seat baggage fee. Would love to know your thoughts on those! Interesting about your kids seat-kicking and the car seats. I’d say it really only helped us when it removed the cause of their problem (for example when they were wriggling and straining to see the TV screen). I’ll go up there and add your warning in a minute – it’s a good example of being careful to match solutions to problems. Hopefully that’ll help you decide if it’s a good one for you guys. I am not sure why there is such a wide range of rules when it comes to airlines and car seats. I’ve even had varying experiences with different flight attendants on different flights within the same airline (oy). Thanks for the review – heading over to read it now :). Yes, you’d think it would be one of those one-size-fits-all situations, where people could agree on which car seats, how, etc. The airline seats all seem pretty much identical to me. I’ve heard of parents whipping out copies of the regulations when challenged by flight attendants on one leg of the trip when the other legs were ok? Oh, I was going to say, I wouldn’t have even thought of the rear-facing toddler seat thing except for Jen. She used one for her 2yo. It was a particular seat on a particular airline – you’d definitely have to research the rules and regulations – and as I recall the flight attendants thought it was a bit unorthodox as well. It did neatly stop the seat-kicking, though. Definitely a clever way to stop it! She makes me sound like the worst mum ever! Next thing she’ll be telling you all about the time I actually did put her on the side of the road although technically I think it was her father who instigated that little episode. A bit drastic and the biggest bluff he ever pulled off but it worked. It was really a little lesson aimed at the younger sibling. Everyone knew nothing phased Bronwyn – not even being left on the side of the road in the middle of nowhere. I’m relieved to learn that others get fidgety legs when flying. I thought it was just old age creeping up on me. I usually stop little kids kicking the back of my seat by turning around and crossing my eyes at them. It scares the hell out of them! Which bit made you sound like the worst mum? I’ve checked and I can’t see it. I’m sure nobody else thought that. John’s legs get the fidgets. He wears compression socks. Don’t think kids have those?? Does that work? Have we been missing that trick all this time? Not sure you can get them easily in kids’ sizes, though, no. If you ever write up a post detailing your inflight amputation technique I will definitely link to it 🙂 . When will you provide solutions to the “lay on the floor in the middle of the airport terminal and scream uncontrollably” problem? You mean other than the old “whose kid is that anyway?” trick? Yeah, uh, give me a while to sort it out. Do you have any suggestions? Perhaps dropping a constant, but well-spaced stream of gummy bears from my hand would keep the child moving forward happily? Oh, that’s a good one! Actually I think that’s the philosophy a lot of Aunties in Singapore use on crying children. Where they tuck all those sweets I’ll never know, but they are always armed and ready. I still obsess about the seat-kicking problem (never thought about a straightjacket…. hmmm maybe ..) but your tips will definitely be used on our next flight! Good luck and hope it doesn’t come up for you! It’s a good thing I couldn’t find any child-sized straight jackets to buy online. The websites selling the straight jackets weren’t exactly suitable for children. Oh, the seat kickers! One of the banes of travel! We’ve always advocated the cross-legged method. Seems to work because we let them take off their shoes, thus a desirable outcome for all. Ah yes, taking off the shoes is definitely one of the perks. Good to hear another person affirming the cross-legged approach. Mine kicked for the first time on our last flight. Sitting cross legged is a great suggestion! If you try it out, let me know how it goes! It seems a few people in the comments can vouch for it. My toddler does this in the car. I suspect because she enjoys me telling her not to. Technique that currently works is asking her to actually kick my chair. Suddenly she loses interest!! Oh, that’s a good one! I had a grumpy toddler at the supermarket checkout once and the grandmotherly lady behind us asked him to try a bit harder, really give it all he had. He stopped immediately 🙂 . Ha ha I reckon that lady was on to something!! It seemed like she’d been there and done that. Ahh the seat kicking! Great post, I also found the cross legged approach to be the best solution too. Flying back from NY I had a kid (about 8!) who kicked my seat and mum did nothing so after ten minutes and my patience gone, I turned around looked directly at the offender and said in a stern voice with a smile “would you PLEASE stop kicking my seat” as I looked at her legs. Good to hear it’s not just me with the cross-legged sitting. I almost kicked myself for not thinking of it sooner. I’m loathe to say anything against eight year olds because we don’t have one yet, and I’m sure they still have their moments (my mother complained of us having ours all the way up until, oh, thirty? thirty-five? to be revised upwards as time progresses?) but in general yes, I think most eight year olds could be expected to know that one. I’m going to have to perform some sort of ritual now so the wrath of the universe doesn’t rain down on me when my kids are eight. Can you believe it, I’ve never had a huge issue (so far) with this? But I’ll remember the tips for the future needs! I’m secretly hoping T doesn’t give us many problems, either. And to be fair, I wouldn’t say we’ve had a *huge* issue with P, but he does shift about a lot in his seat and he was tending to brace against the one in front each time he did it until we worked out what the problem was. And I can remember a couple of times where he’s just absent-mindedly started fidgeting from sitting still too long and needs some in-seat exercises. You hear people complain about this deliberate, malicious seat-kicking in kids but I’m not sure it’s very common. …but I still think only very few kids would deliberately be malicious overall, if they are kicking seats I believe in your explanations above. And we have that (now I recall) on e.g. a bus ride, but I think I have always thought the fidgeting is due to getting bored and the seat kicking is just a side-effect 😉 The other option in our case has been a wish for parental attention (goodbye book, which I never have time to read but still always take along 😉 ). But it could really be something else too, like seats not made for kids! Yes, I definitely agree. I don’t think a three year old really understands other people enough to be deliberately malicious! Parental attention can be a motivator for sure. It’s hard because sometimes you feel like you want to show people you’re taking a firm hand, but you don’t want to make it into a show so they do it every time you’re paying attention to their sibling instead of them! I get irritated by seat kicking as it often jerks me awake while I try so hard to sleep. But my kids are guilty of that and it’s often the adults who apologize after turn around stares have us scolding the kids out of obligation. I think the best way is to have them sleep as much as possible in the plane and when they wake up, watch the on-flight entertainment while eating their untouched meals. Apart from that, I do not have better ways than your suggestions. By the way, I have never seen people bringing car seats on plane. Isn’t this to cumblesome for travel? I have never seen it either (we’ve only used our trunki boostapaks which double as our carry-on luggage and they’re not approved for takeoff and landing last I checked) but I’ve heard it’s common enough in the US. Yes, it must be cumbersome. I believe it’s safer, though. Definitely booking the sleep-time flight should be on the list. I’ll add it now! I just adore the title of this post! Also, great tips! I had a lot more problems with my older one kicking the seat than I’ve had with my little one. He just took his first 2 flights where he could actually reach the seat in front of him with his feet and was ok. Whew. Six certainly seems to be an age where they grow out of a lot. My oldest is just about six and a half and I’ve found 6 to be an absolutely wonderful age. Oh good – I’ll look forward to it. Gives me extra motivation to organise a party as well – it’ll be a celebration for the parents! I just had a grown man on the last flight we were on (for 7 hours!!!) kick the back of my seat consistently. It drove me slightly crazy, but I figure it was a way to somehow pay back the future kicking z will do to someone else. I know it will happen someday. I also run zoë around before flights and during any layovers. I walk up and down the aisles on the plane as I can. I also sometimes let her stand in her seat, just to get the blood flowing in her little legs. Standing on the seat is a good one. See? I’ve already learnt one more thing. If you have any trouble, let me know how the other suggestions go. Alright, I’ve added your suggestion. Oh thanks! I have no idea his reasons but he looked really uncomfortable, maybe he was sick or something. Airplanes are definitely not a fun place to be if you’re feeling in any way sick. It’s not so much that, it’s the accessibility of anchor points. Especially when you’re flying economy. I’ve also googled “buy straightjackets online” at desperate points in the past. It was… educational. Ha ha, extreme but effective I’m sure! I’m grown up, but the shortest in my family, and they all have come to realize that it is very uncomfortable for me to sit in some chairs because my feet don’t hit the ground! I do swing my legs – a lot! My sister teaches special ed, and she called last year and asked where to get cheap foot stools – because she has noticed that a lot of the younger kids feet don’t touch the floor and they seem to be uncomfortable – and how can you learn and be still when you are uncomfortable! I think your tips are great – the foot rest and the criss-cross applesauce sitting is a great idea! I’ll have to keep that one in mind! The cross-legged one is definitely the best. It seems so obvious in hindsight (one million primary school teachers can’t be wrong) but it really did make a big difference instantly. As a parent of a seat-kicker I would have been pleased to have some kindly advice. Most parents I know are mortified when their child does something like that, but often it’s tricky to know how to stop it. I’ll look forward to tall and well-behaved travellers like yours 🙂 . Ha! Yes, the seat size strikes again. They really should arrange it so they’re the right size for those who have most trouble sitting still. Although the little ones don’t have a lot of cash to buy plane tickets. I never was a good business woman. Yes I don’t know what I fed my kids but they tower above us. What’s with those long legs? 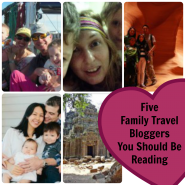 At any rate I am certain your post will be a godsend for many parents and the travellers of those without. Thanks. Hope it’s constructive on all sides.